Aluminium spoke wheels and off-road tyres are available as an option. The TRK 502 is an adventure-tourer from Benelli. 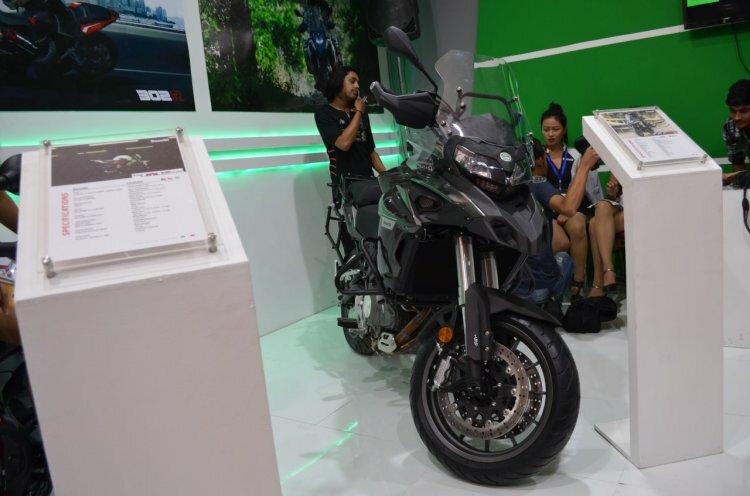 The bike showcased is the standard variant, which is more a soft-roader, thanks to the alloy wheels and road-spec tyres. However, Benelli offers spoke rims and off-road spec tyres as an option. The motorcycle sources its power from a 499.6cc in-line twin cylinder DOHC engine with liquid cooling. The powerplant punches out 47.5 PS of power at 8,500 rpm and 45 Nm of torque at 5,000 rpm. The engine features fuel injection technology and pairs with a 6-speed transmission. 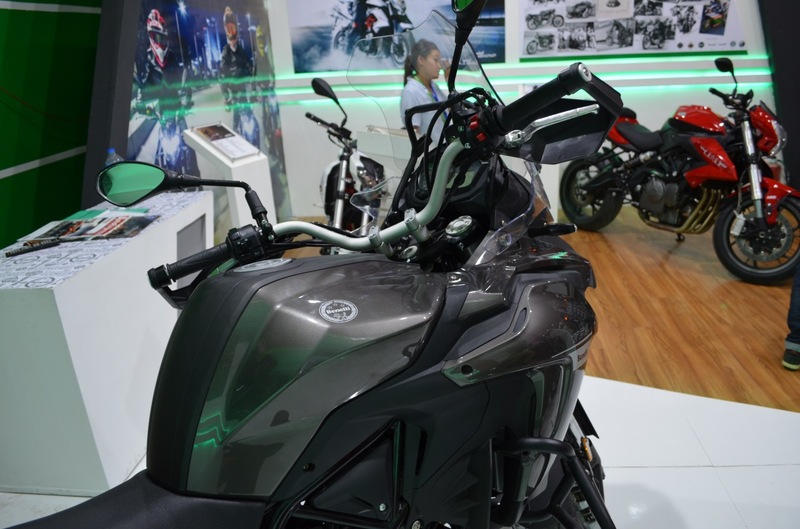 Coming to the suspension, the motorcycle employs an adjustable 50 mm upside down front fork and a rear monoshock with adjustable spring preload. The front suspension stroke stands at 135 mm while the rear gets 45 mm stroke. The bike gets a massive 20-litre fuel tank with a 3-litre reserve. Brakes include twin 320 mm front discs and a single 260 mm rear unit, both linked with ABS. The bike rolls on 17-inch alloy wheels as standard. A 120-section front and a 160-section rear wrap the wheels. The TRK 502 gets a generous 20-litre fuel tank, and the bike weighs 213 kg.